During my garage clean-out operation I came across the very large book War of the Nations: Portfolio in Rotogravure Etchings Compiled from the Mid-Week Pictorial, 1914-1919, published by the New York Times in 1919. It contains some amazing images from World War I such as the ones below. I checked and it is available online so I thought I would pass along the link to anyone who may also find this resource of value. Visit Internet Archive – click here. 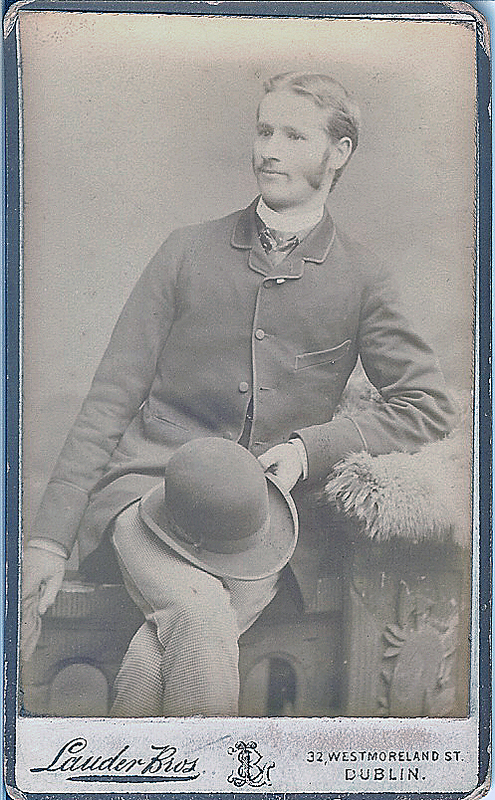 Here are the remaining photos in my grandfather’s album. I think some of these must have been taken when in training at Camp McClellan in Alabama as one photo contains a large crowd of African Americans. 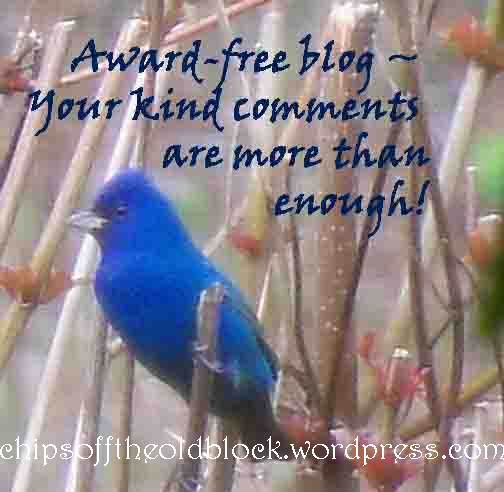 Click on photos to enlarge or view in slideshow format. Happy Easter, everyone! As promised in the previous post, here are some more photos from my grandfather William Boles’ photo album taken while serving in the US Army’s 29th Division 112th Heavy Field Artillery. I’ll post the remainder soon as time allows. CLICK ON AN IMAGE AND THEN YOU CAN VIEW THEM AS A SLIDE SHOW. As an update to my previous posts on William Boles’ World War I service, I am posting some more photos from his album. There are still 30-40 left to scan and post. I will try to get to that next week. 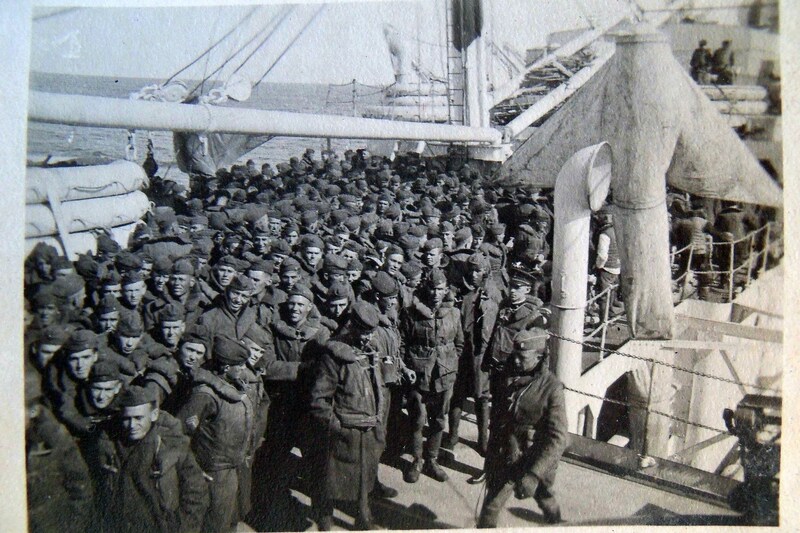 Note: To the above “WWI Itinerary” post I have added two photos showing troops on deck a ship; I presume these were taken either heading over to Europe (on the SS Melita) or coming back (USS Orizaba). I have also added some more links to texts that corroborate the itinerary. I read in this document that a lack of equipment kept the men in William’s regiment from taking part in the American offensive. To view the below photos as a slideshow, click on the first photo and then use the arrows to move to the next photo. 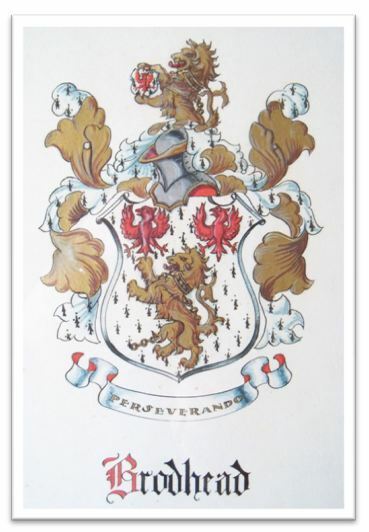 My great grandfather Edward Boles was born on June 4, 1855, in Fingreagh Upper, Co. Leitrim, Ireland, to James Boles of Fingreagh and Jane Payne. The couple had seven children: Edward, Robert, James, Jane, Alexander, William and Benjamin. 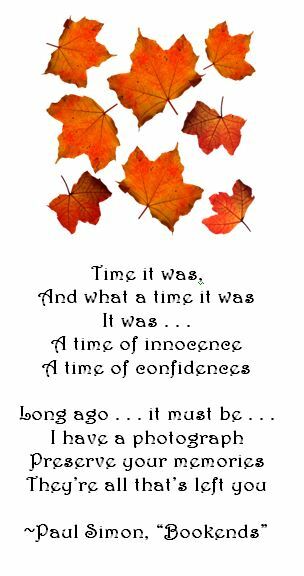 Edward died on October 26, 1940, in Dublin. His wife, my great grandmother, was Sarah Nixon. 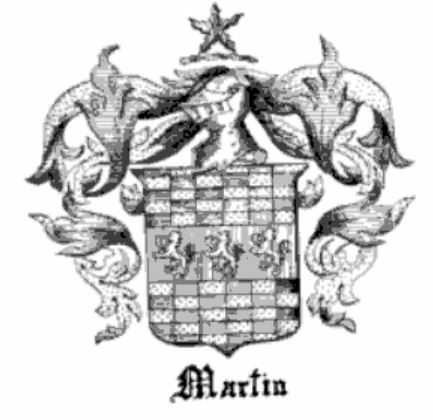 She was one of 14 children of William Nixon and Rachael Millar: Edward, James, William, Elizabeth, Rachael, Jane, Mary, Sarah, Kate, Mark, Benjamin, John, Thomas, and Robert. Supposedly there were two sets of twins. I’m not sure whether they all survived to adulthood, but supposedly, of those who did, Sarah was the only one (or one of the very few) who did not end up emigrating to the US. I have yet to figure out if that was really the case. 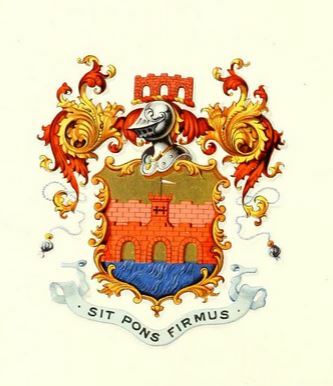 Edward (a farmer) and Sarah Boles had six children: John James, Jane Kathleen (“Jennie”), Mary Elizabeth (“May”), William Robert (my grandfather), and Edward Benjamin (“Ben”). Ben’s twin Beulah Sarah died young. My grandfather William R. Boles was 20 when he emigrated to the US (Oct 21, 1912, from Londonderry via the ship Columbia), and I suspect the one photo below was taken on the eve of his departure. It was his Uncle Robert Nixon (one of Sarah Nixon Boles’ brothers), living on Elm Street in Summit, NJ, with wife Blanche, who sponsored him when he initially came to the US. 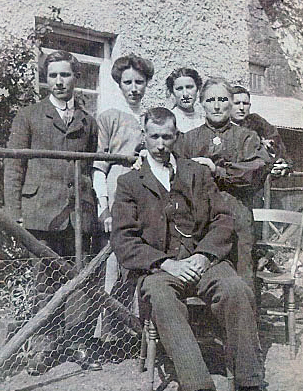 In front of the Co. Leitrim house in Cloneen: Edward Boles seated with wife Sarah holding his left shoulder. In rear: John, Jennie, May, and Ben. Possibly taken in 1912, before my grandfather’s emigration to the US. Edward was tall — over 6′, while Sarah was very petite — 4’11” or thereabouts. William R. Boles, served in US army in WWI, while still a British subject. 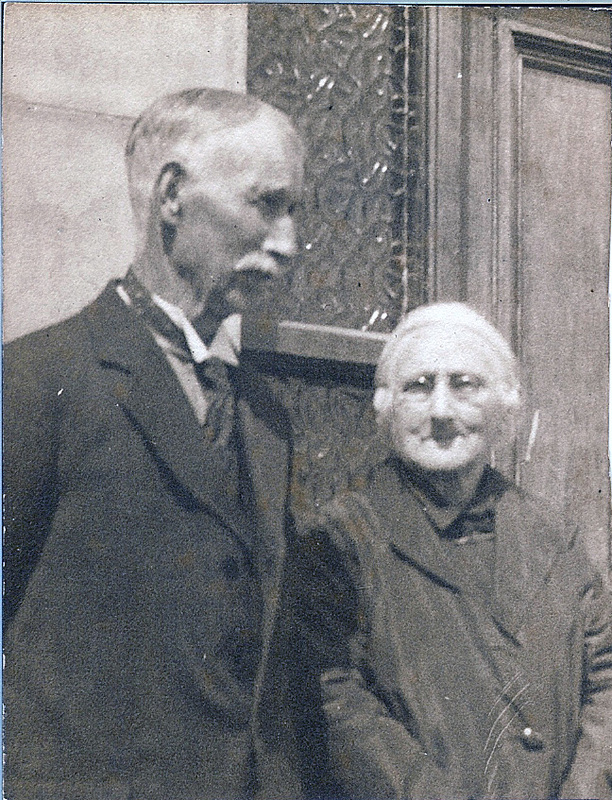 Great grandparents, James Boles and wife Sarah Nixon, probably mid-1930s; Sarah died in Sept 1938, and Edward in Oct 1940. 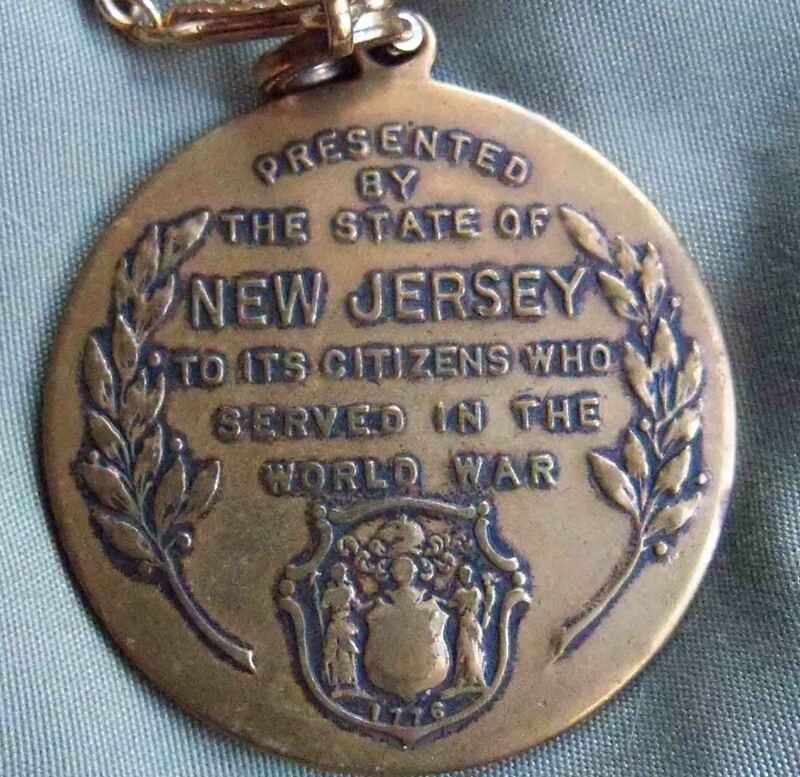 We happened upon a box containing this WWI service medallion presented by the State of New Jersey to its citizens who served in the 1st World War. 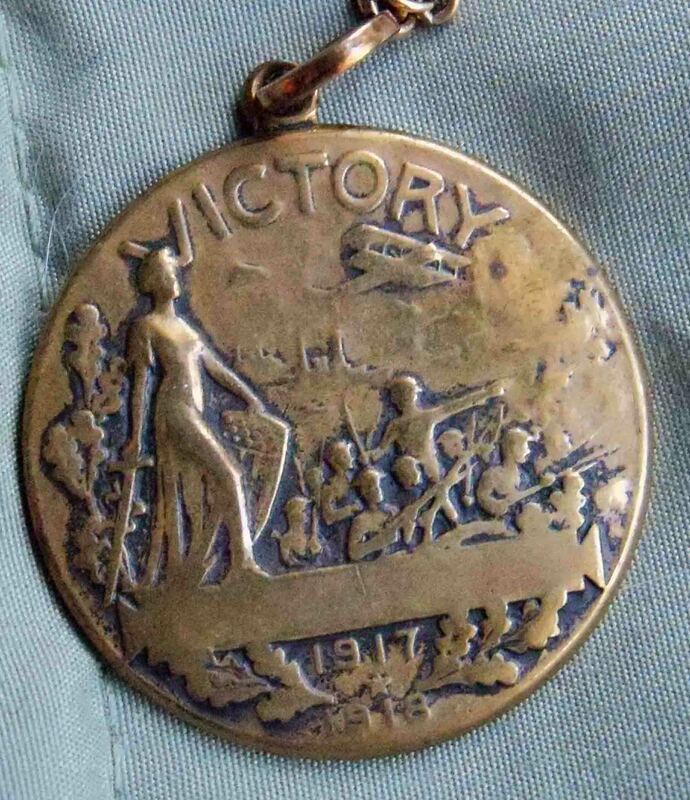 This was awarded to William R. Boles, my grandfather, whose WWI photos and itinerary appear in past blog posts. 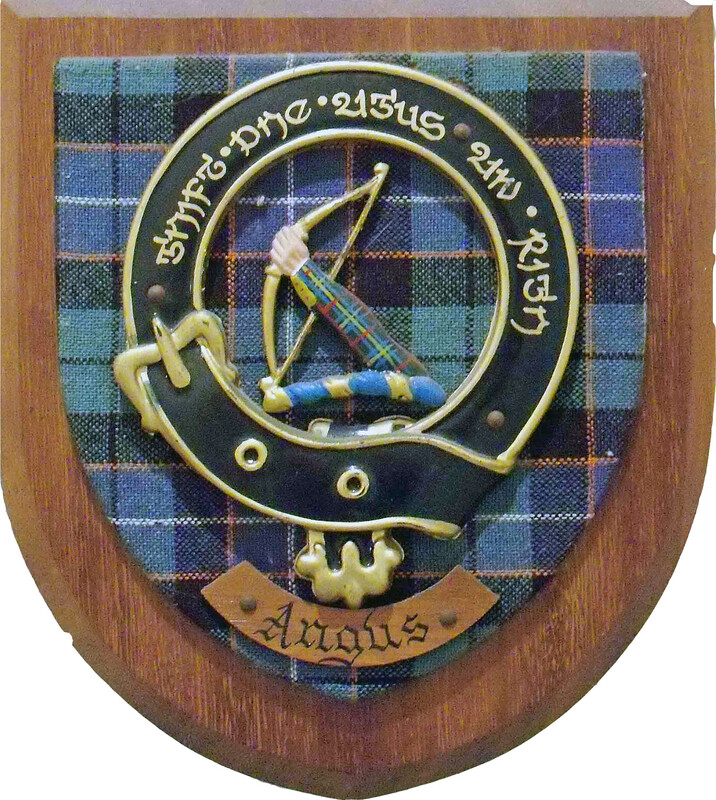 He never had his name engraved in the rectangular box on the Victory side, but he carried it on a chain so no doubt it meant a great deal to him. 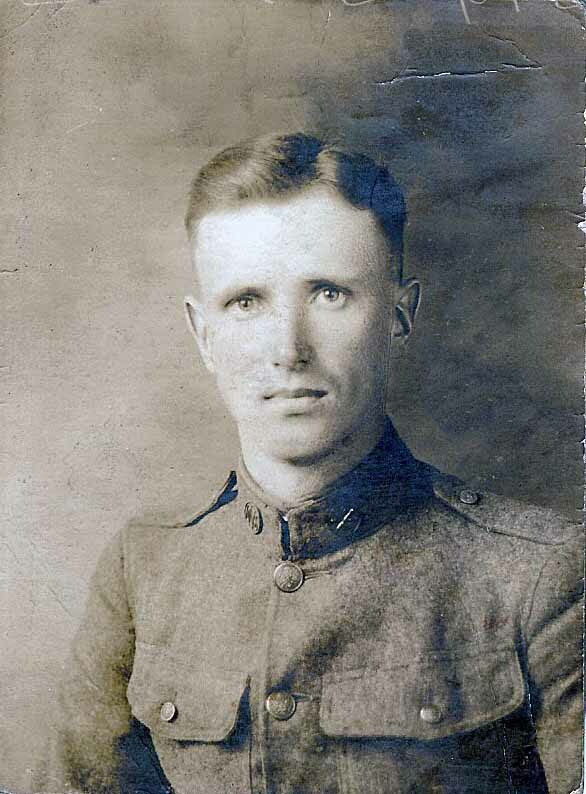 I recently scanned in a photo of grandfather William Boles in his WWI US Army uniform. Please see the post WWI Itinerary. He was a very handsome young man. Also uploaded recently were two watercolor paintings by Bertha Winans Woodruff, one of hydrangeas and the other a mixed floral arrangement. You can find them in them in the 9/16/11 post devoted to her. Click here. 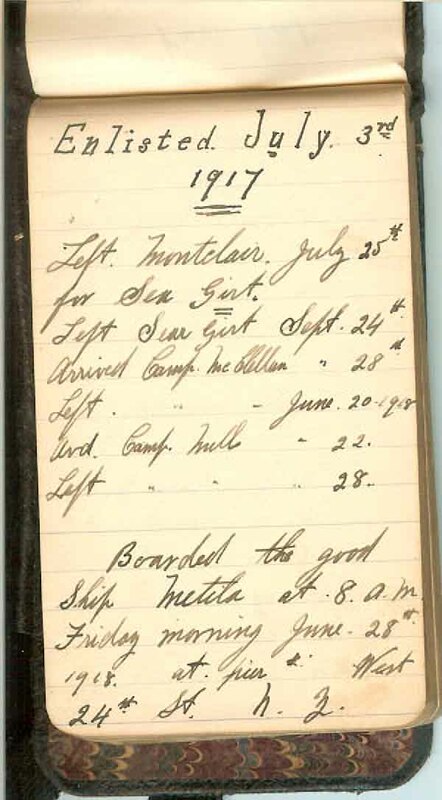 I decided to scan the notepad paper upon which William Boles kept track of his WWI whereabouts. So here they are. I especially love how he refers to the US as “God’s country” (page 4). 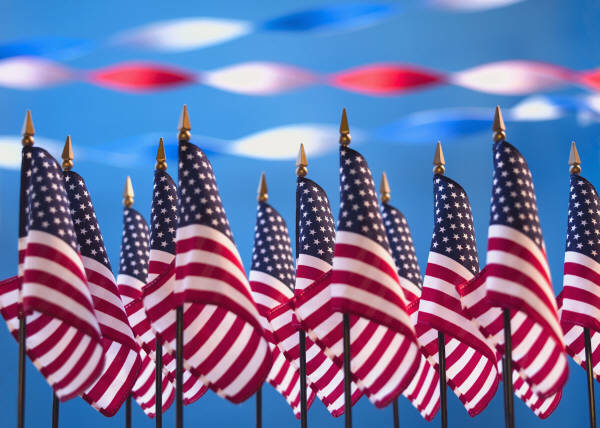 To view photos he took while serving, click here. To view the medal awarded to him by the State of NJ upon his return to civilian life, click here. Left Montclair [NJ] July 25th for Sea Girt [NJ]. Pulled away from Pier at 10 a.m. arriving at Liverpool, England, on July 10th. Train for So. Hampton where we arrived late that night, remaining until the following day. Remaining there for a sojourn of four months. 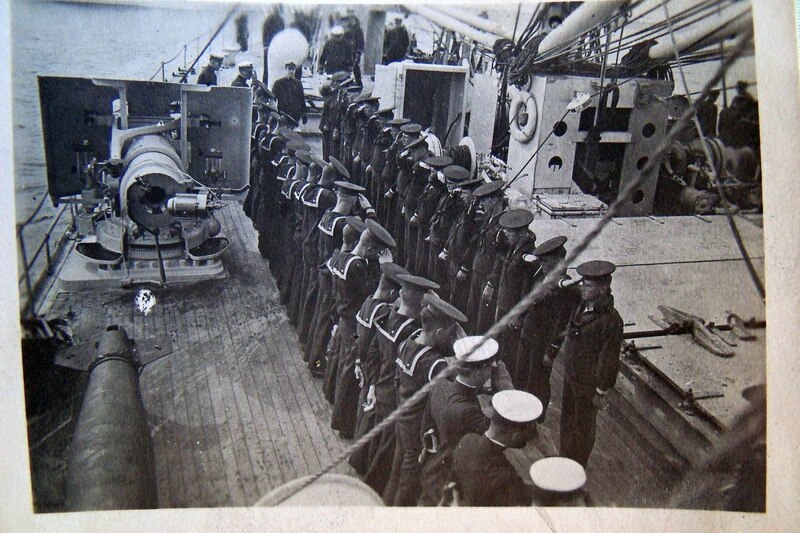 Leaving on the 11th April 1919. Arriving at Newport News [Virginia] in God’s Country on May the 21st. and returned to civil life on the fourth day of June in the year of our Lord nineteen hundred and nineteen. For images of the actual notebook, see next post. 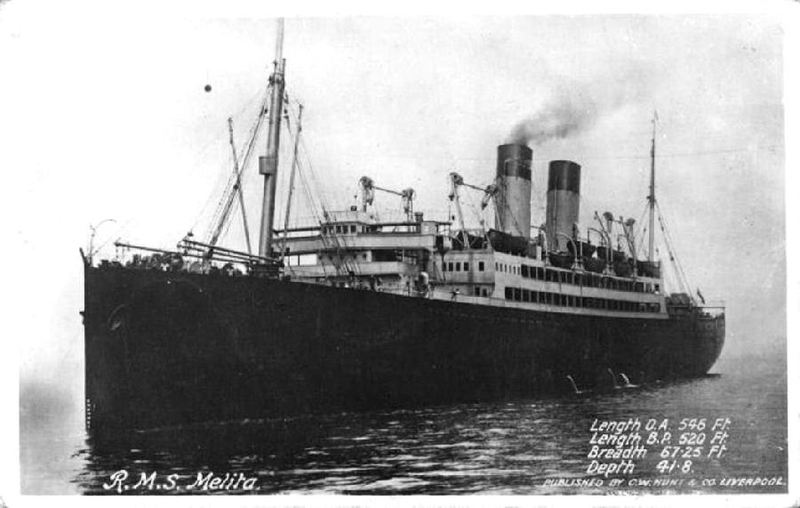 For more on the SS Melita, click here and here. For more on the 112th Field Artillery Regiment, see pages 17 & 18 of this document. 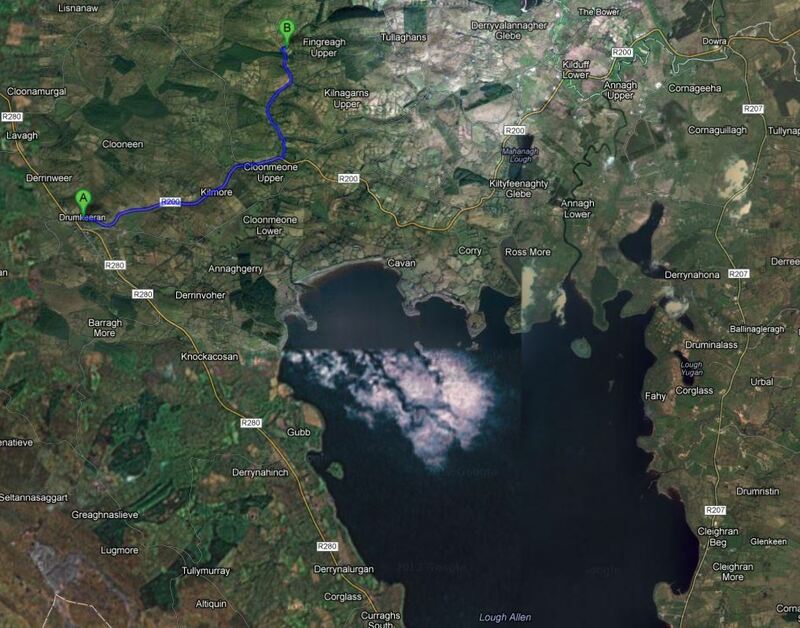 They corroborate the itinerary. 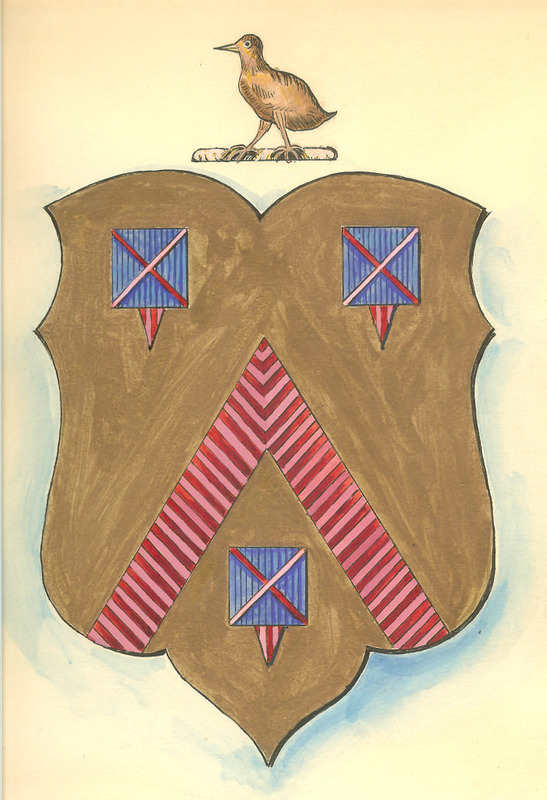 Additional resource on Google Books: 29th Infantry Division: A Short History of a Fighting Division by Joseph H. Ewing, pages 11-17.